On Monday, we were thrilled to attend a book release for the long-awaited, first cookbook of Michelin-starred chef (and D’Artagnan friend), Anita Lo, Chef/owner of annisa in New York City. Cooking Without Borders was co-written with Charlotte Druckman and published by Stewart, Tabori & Chang. Snap impression? This book is really good-looking. You can tell a lot of thought has been put into even the smallest details, from its tactile matte paper stock to its watery blue accent colors and perfectly-lit photos. Even the font seems fresh… but as we all know, beauty is fleeting and after closer examination it’s evident that this book will soon be marred with butter stains, dog-eared pages and a dusting of dried spices. This baby is getting used. 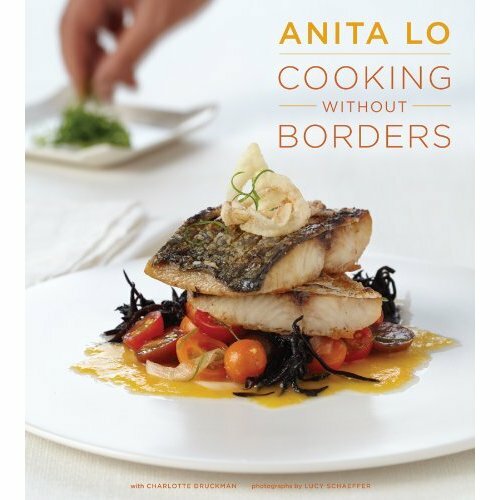 Anita Lo’s Cooking Without Borders is available now.